The ATM Ladies can help you with all of your Mobile ATM needs. For mobile events only we service the following areas: Pennsylvania, Maryland, Delaware, New Jersey and New York. For other states please inquire here. It doesn’t matter whether your upcoming event is a carnival, festival, fair or any other type of outdoor or indoor event; The ATM Ladies have the Mobile ATMs to help your event run smoothly. Our Mobile ATMs are durable and reliable. The top of the kiosk reads ATM at all angles so your event attendees can see that cash is available no matter where they are standing. Having a mobile ATM will ensure that your event goes off without a hitch and that not only are you happy with the event but that your vendors and event attendees are happy as well as cash is easily and readily available. The ATM Ladies handles the installation and removal of the mobile ATMS and there is never a charge to you when you use our mobile ATMs. 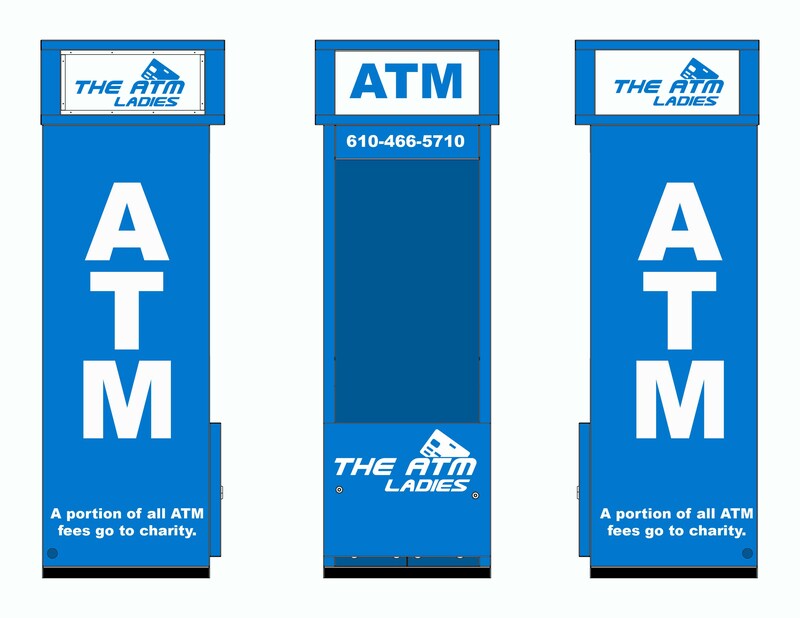 We also handle placement of all ATM signage so your attendees always know where they can find cash. Plus, when you choose to work with The ATM Ladies for your special event we give you the ability to donate a portion of our profits to the charity of your choice! (If you’re putting on an event for your non-profit organization then you can be that charity that we donate a portion of our profits to!) 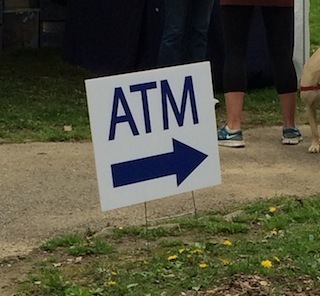 And our mobile ATM kiosks let the event attendee know that a portion of all ATM fees will go to charity as well! Please feel free to learn more about the charities that The ATM Ladies support when you don’t have a charity in mind. To utilize our mobile ATMs there are only 2 things that we require from you: 1) a 110v electrical outlet to plug the mobile ATM into and 2) let us know what charity you’d like a portion of the profits to go to after the event. 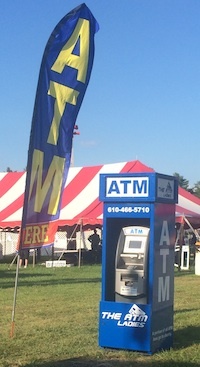 Call us today at 610-466-5710 to discuss your mobile ATM needs and how The ATM Ladies can help you to have an awesome and profitable event!